Filming of the hit BBC TV show Poldark continues and it looks to be a chilly business! 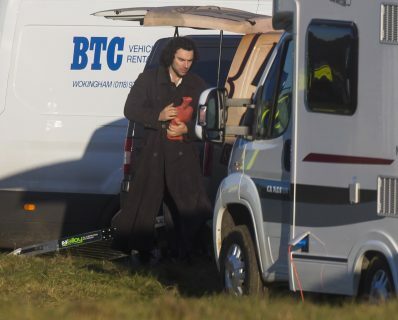 Aidan Turner, playing Ross Poldark, in the BBC’s Poldark drama, clutches a hot water bottle on a bitterly cold set of Poldark. 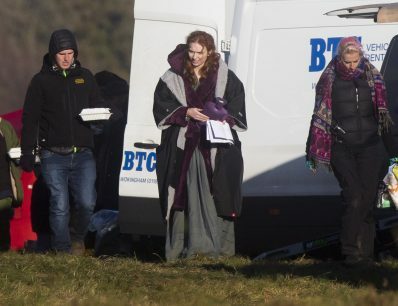 Eleanor Tomlinson, who plays Demelza Poldark, in the BBC’s Poldark drama, clutches a hot water bottle on the set of Poldark. 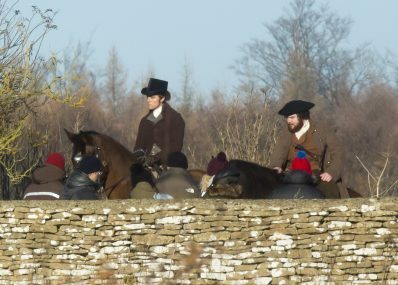 Jack Farthing on horseback, left, playing George Warleggan, on the set of Poldark near Cirencester. Poldark is filmed across the country, with much of the action being filmed on location in Cornwall. To plan a trip around the different sites, head to the the Visit Cornwall website.